Couple Brent Delhaye and Celine Vandenberghe have opened a lush plant café just in time for summer! Yes, a plant shop and café all-in-one. Naturally, because I heard there was coffee there I had to go. 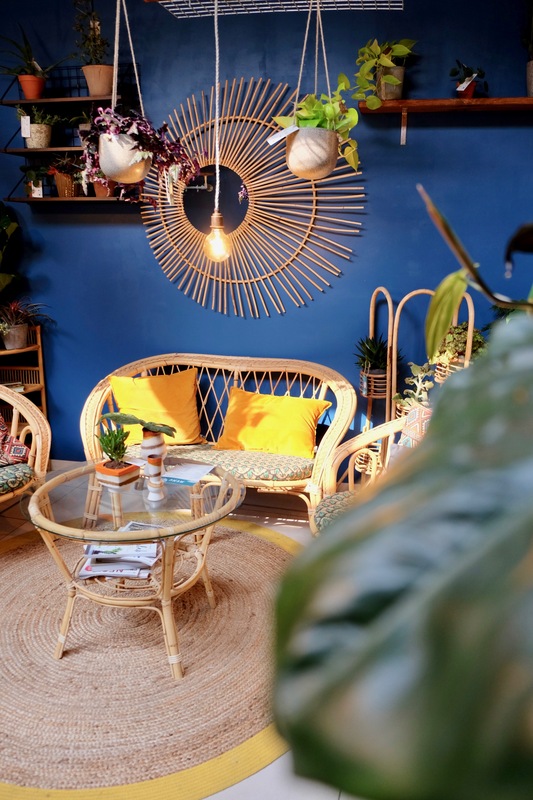 After years of cultivating their passion for plants in their own living room, Brent and Celine decided to take their passion and bring a new kind of concept café to one of Ghent’s most vibrant areas. You’ll find the shop with its beautiful blue storefront (with a plant outside, of course) lining the lovely street leading up to the Vrijdagmarkt. Ice coffee to cool down in the Ghent tropics. The most beautiful coffee corner, ever. Celine says that her and Brent were also inspired by the plant-café concepts in Berlin, and the idea blossomed further from there and became a reality one week ago. 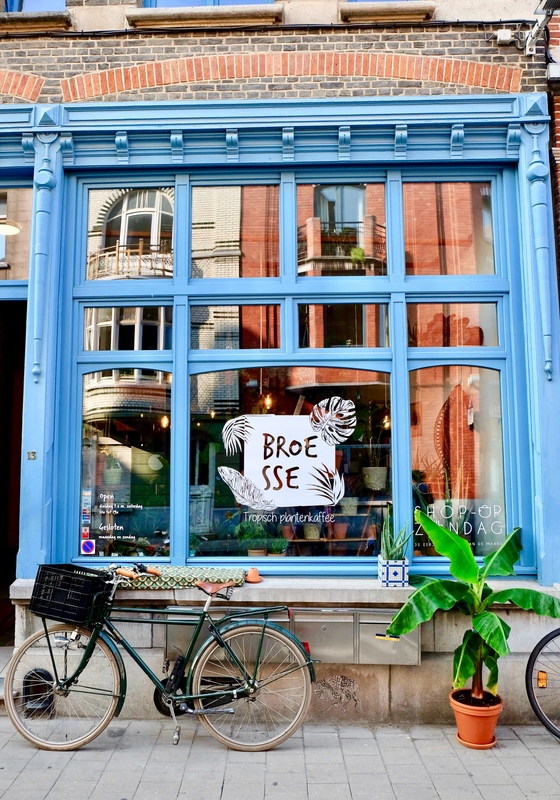 In Ghent, it’s easy to find antique stores, salons, and other shops offering coffee and drinks, but none offer the tropical touch Broesse does. Pick your plant! Plants are arranged within the store according to how much light they can tolerate. As you step into the café, it’s a tropical surprise of sorts. Exotic bug-eating plants and more familiar ones line the walls and ceiling of the narrow corridor, and once you reach the end, a cosy and vibrantly designed space draws you in to earthy green, yellows, and blues. 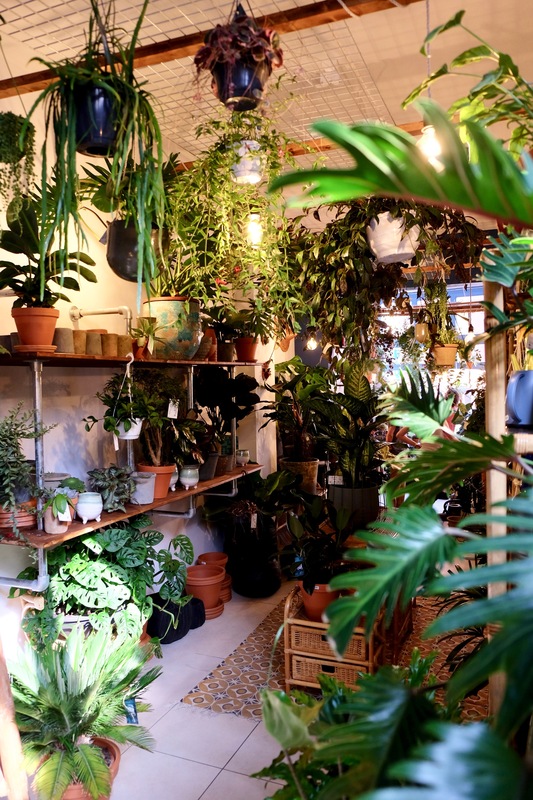 It’s a small and inviting space overflowing with green; it’s interesting to note that the plants are arranged in the store according to how much light they can tolerate. Want a plant that needs lots of light? Head to the show front window, and there you go! 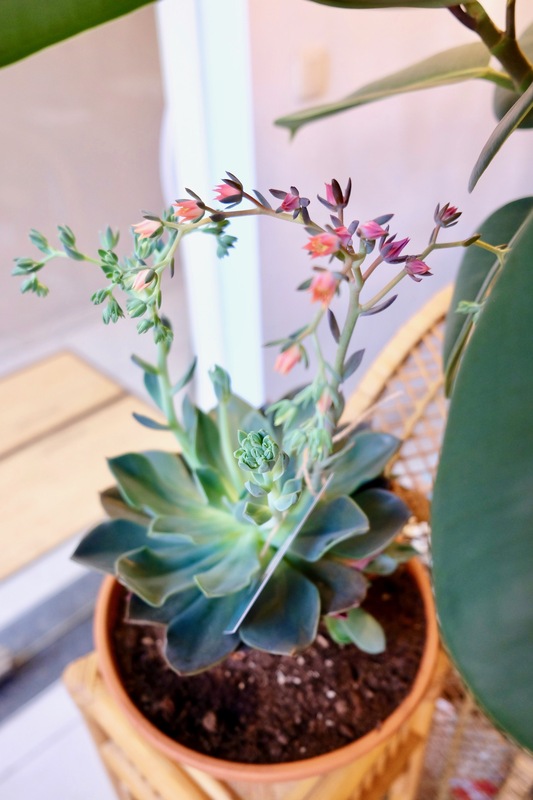 This gorgeous succulent is for sale, too! 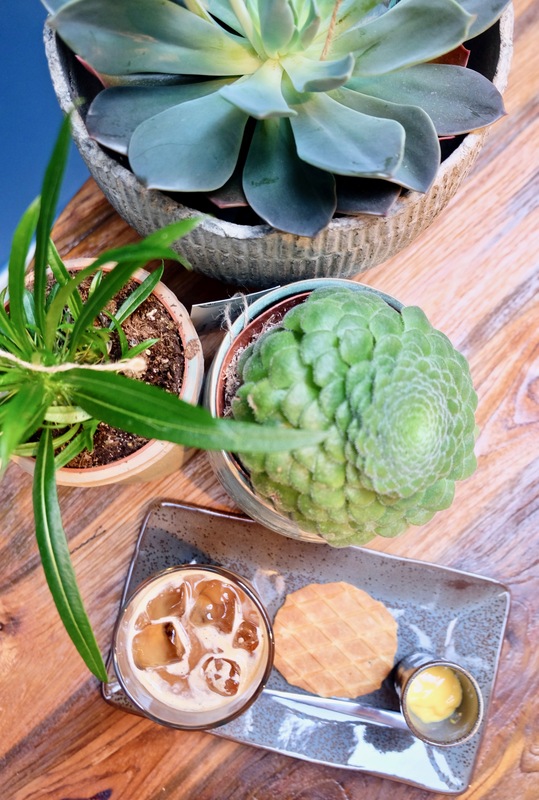 With the drink menu you can stay a bit while you plant-parouse, sip some delicious coffee, tea, beer, or wine, and leave with a gorgeous (and affordable) plant! What better place to get your green-thumb going?